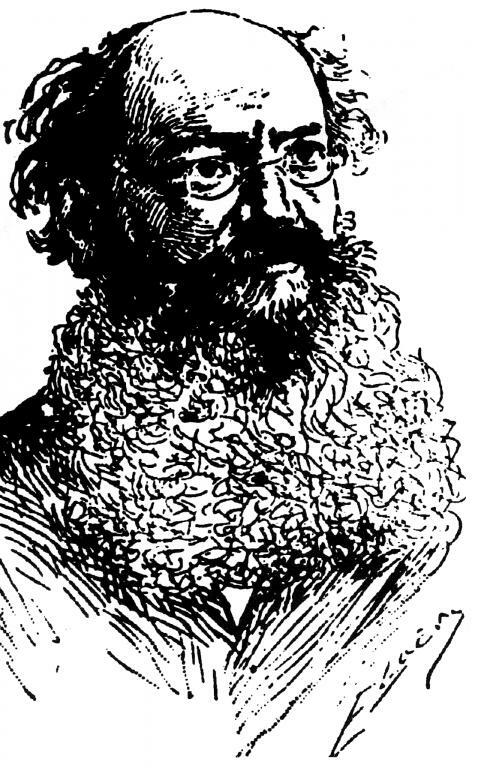 Kropotkin speaks on the relationship between syndicalism and anarchism, arguing that the anarchists welcomed syndicalist ideas in the IWMA and defended them against the attacks of the parliamentary current of the International. He also believed that syndicalism was the only movement capable of showing a way out of capitalism. The following is, as far as we know, the first English translation of this article, based on the German reprint published in June 1977 by “Die Anarchistische Vereinigung Norddeutschland” (Anarchist Union of North Germany) which was a direct reprint of the article from Der Syndicalist (Berlin) in 1908, originally from Les Temps Nouveaux. It was translated by J.Goddard and proofread by L.Guenther in 1994. We are publishing it because, although dated, it still has many relevant points for today. From all sides, people are always asking us, “What is Syndicalism and what is its relationship to Anarchism?”. Here we will do our best to answer these questions. Syndicalism is only a new name for an old tactic in which the workers of Great Britain have taken successful refuge for a long time: the tactic of Direct Action, and the fight against Capital in the economic sphere. This tactic, in fact, was their favourite weapon. Not possessing the right to vote, British workers in the first half of the nineteenth century won important economic gains and created a strong trade union organisation through use of this weapon alone, and even forced the ruling classes to acknowledge their demands with legislation (including an extension of the franchise). Direct Action has proved itself, both in achieving economic results and in extracting political concessions, to be a significant weapon in the economic arena. In Britain, the influence of this idea was so strong that in the years 1830 to 1831 Robert Owen attempted to found one big national union, and an international workers organisation, which using direct action would struggle against Capital. Early fears of persecution by the British government forced him to abandon this idea. This was followed by the Chartist movement, which used the powerful, widespread and partly secret worker's organisations of the time in order to gain considerable political concessions. At this point British workers received their first lesson in politics: very soon they realised that although they backed political agitation with all means at their disposal, this agitation won them no economic advantages other than those they themselves forced the employers and lawgivers to concede through strikes and revolts. They realised how pointless it was to expect serious improvements to their conditions of life to come from parliament. French workers came to exactly the same conclusion: the revolution of 1848 which had given France a Republic convinced them of the complete fruitlessness of political agitation and even of political victories; the only fundamental changes to workers conditions of life are those which the ruling classes are forced to concede by Direct Action. The revolution gave the French another lesson. They saw how completely helpless were their intellectual leaders when it came to finding out about new forms of production which would secure for the workers their share and bring about the end of their exploitation by Capital. They saw this helplessness both in the Luxembourg Commission, which met between April and June 1848, and in the special Chamber chosen to study this question in 1849, on which over 100 Social Democratic Deputies sat. From this, they realised that workers themselves had to work out the main lines of the social revolution, on which they must travel if they are to be successful. The use of direct action by Labour against Capital, and the necessity for workers themselves to work out the forms of economic organisation with which to eliminate capitalist exploitation: these were the two main lessons received by the workers, especially in the two countries with the most developed industry. When, then, in the years 1864/66 the old idea of Robert Owen was realised and an international worker's organisation was set up, this new organisation adopted both of the above fundamental principles. As the International Workers Association (IWA) had been brought into being by representatives of the British trade unions and French workers (mainly followers of Proudhon), who had attended the second World Exhibition in Paris, it proclaimed that the emancipation of the workers must be the task of the workers themselves and that from then on the capitalists would have to be fought with mass strikes, supported internationally. Following on from this, the first two acts of the International were two such mass strikes, causing enormous agitation in Europe and a salutary fright for the middle class: a strike in Paris, supported by the British trade unions, the other in the Genoese building trade, supported by French and British workers. In addition, congresses of the Internacional workers no longer bothered with discussing nonsense with which nations were entertained by their rulers in parliamentary institutions. They discussed the fundamental question of the revolutionary reconstruction of society and set in motion the idea which since then has proved so fruitful; the idea of the General Strike. As to what political form society would take after the social revolution, the federations of the Latin countries openly stood against the idea of centralised states. They emphatically declared themselves in favour of an organisation based on a federation of free communes and farming regions, who in this way would free themselves from capitalist exploitation and on this basis, on the basis of federal combination, form larger territorial and national units. Both basic principles of modern Syndicalism, of direct action and the careful working out of new forms of social life, are based on trade union federations: from the beggining, both were the leading principles of the IWA. Even them within the Association, however, there were two differing currents of opinion concerning political activity which divided the workers of different nations: Latin, and German. The French within the International were mainly supporters of Proudhon, whose leading idea was as follows: The removal of the existing bourgeois state apparatus, to be replaced by the workers own organisation of trade unions, which will regulate and organise everything essential to society. It is the workers who have to organise the production of life's necessities, the fair and impartial exchange of all products of human labour, and their distribution and consumption. And if they do that, we will see that there will be very little left for the state to do. Production of everything needed, and a more equitable exchange and consumption of products, are problems which only the workers can solve. If they can do all this, what remains to be done by existing governments and their hierarchy of officials? Nothing that workers can't organise themselves. Among British workers there were a number of Chartists who supported political struggle. And the Germans, unlike the French, did not yet have the experience of two republics. They believed in the coming parliament of the German Reich. Even Lasalle – as is now known – had some faith in a socialist Kaiser of the united Germany he saw rising. Thus was resurrected the old idea of trust in a bourgeois parliament. After Germany had triumphed over France in the war of 1870-71 and 35,000 proletarians, the cream of the French working class, were murdered after the fall of the Commune by the armies of the bourgeoisie, and when the IWA had been banned in France, Marx and Engels and their supporters tried to re-introduce political activity into the International, in the form of workers candidates. As a result, a split occurred in the International, which up to then had raised such high hopes among proletarians and caused such fright among the rich. The federations of the Latin countries, of Italy, Spain, the Jura and East Belgium (and a small group of refugees from France) rejected the new course. They formed their own separated unions and since this time have developed more and more in the direction of revolutionary Syndicalism and Anarchism, while Germany took the lead in the development of the Social Democratic Party, all the more so after Bismarck introduced the universal right to vote in parliamentary elections following the victory in war of the newly established German Reich. Forty years have now passed since this division in the International and we can judge the result. Later, we will analyse things in more detail but even now we can point to the complete lack of success during these 40 years of those who placed their faith in what they called the conquest of political power within the existing bourgeois state. Instead of conquering this state, as they believed, they have been conquered by it. They are its tools, helping to maintain the power of the upper and middle class over the workers. They are the loyal tools of the Church, State, Capital and the monopoly economy. But all across Europe and America we are seeing a new movement among the masses, a new force in the worker's movement, one which turns to the old principles of the International, of direct action and the direct struggle of the workers against capital, and workers are realising that they alone must free themselves – not parliament. Obviously, this is still not Anarchism. We go further. We maintain that the workers will only achieve their liberation when they rid themselves of the perception of centralisation and hierarchy, and of the deception of State appointed officials who maintain law and order – law made by the rich directed against the poor, and order meaning the submission of the poor before rich. Until such fantasies and delusions have been thrown overboard, the emancipation of the workers will not be achieved. But during theses 40 years anarchists, together with these workers who have taken their liberation into their own hands, making use of Direct Action as the preparatory means for the final battle of exploited Labour against – up to the present day – triumphant Capital, have fought against those who entertained the workers with fruitless electoral campaigns. All this time they have been busy among the working masses, to awaken in them the desire for working out the principles for the seizure of the docks, railways, mines, factories, fields and warehouses, by the unions, to be run no longer in the interests of a few capitalists but in the interest of the whole of society. It has been shown how in England since the years 1820-30, and in France following the unsuccessful political revolution of 1848, the efforts of an important section of the workers were directed at fighting Capital using Direct Action, and with creating the necessary worker's organisations for this. It has also been shown how, between 1866 and 1870, this idea was the most important within the newly established International Workers Association but also how, following the defeat of France by Germany in 1871 and the fall of the Paris Commune, political elements took the upper hand within the International through this collapse of its revolutionary forces and temporarily became the decisive factor in the worker's movement. Since this time both currents have steadily developed in the direction of their own programmes. Worker's parties were organised in all constitutional states and did everything in their power to increase the number of their parliamentary representatives as quickly as possible. From the very beginning it could be seen how, with representatives who chased after votes, the economic programme would increasingly become less important; in the end being limited to complete the trivial limitations on the rights of employers, thereby giving the capitalist system new strength and helping to prolong the old order. At the same time, those socialist politicians who competed with the representatives of bourgeois radicalism for the capture of worker's votes helped, if against their intentions, to smooth the way for a victorious reaction across Europe. Their whole ideology, the ideas and ideals which they spread among the masses, were focused on the one aim. They were convinced supporters of state centralisation, opposed local autonomy and the independence of small nations and devised a philosophy of history to support their conclusions. They poured cold water on the hopes of the masses while preaching to them, in the name of “historical materialism”, that no fundamental change in a socialist direction would be possible if the number of capitalists did not decrease through mutual competition. Completely outside their observations lay the fact which is so obvious in all industrialised countries today: that British, French, Belgian and other capitalists, by means of the ease with which they exploit countries which themselves have no developed industry, today control the labour of hundreds of millions of people in Eastern Europe, Asia, and Africa. The result is that the number of those people in the leading industrialised countries of Europe who live off the work of others doesn't gradually decrease at all. Far from it. In fact, it increases at a constant and alarming rate. And with the growth of this number, the number of people with an interest in the capitulation of the capitalist state system also increases. Finally, those who speak loudest of political agitation for the conquest of power in the existing states fiercely oppose anything which could damage their chances of achieving political power. Anyone who dared to criticise their parliamentary tactics was expelled from international socialist congresses. They disapproved of strikes and later, when the idea of the General Strike penetrated even their own congresses, they fought the idea fiercely with all means at their disposal. Such tactics have been pursued for a full 40 years, but only today has it become clear to everyone that workers throughout Europe have had enough. With disgust, many workers have come to reject them. This is the reason we are now hearing so much about “Syndicalism”. However, during these 40 years the other current, that which advocates the direct struggle of the working class against Capital, has also grown and developed; it has developed despite government persecution from all directions and in spite of denunciation by capitalist politicians. It would be interesting to plot the steady development of this current and to analyse its intellectual as well as personal connections with the social democratic parties on the one hand, and with the anarchists on the other. But now is not the time for publication of such work, all things given it is perhaps better that it has not yet been written. Attention would be turned to the influence of personalities, when it is to the influence of the major currents of modern thought and the growth of self-confidence among the workers of America and Europe, a self-confidence gained independently of intellectual leaders, to which special attention has to be directed in order to be able to write a real history of Syndicalism. All that we now have to say about it is the bare facts that completely independently of the teachings of Socialists, where working masses were gathered together in the main industrial centres, that these masses maintained the tradition of their trade organisations from former times, organising both openly and secretly, while all the time growing in strength, to curb the increasing exploitation and arrogance of the employers. At the same time that the organised working masses grew larger and stronger, becoming aware of the main struggle which since the time of the great French revolution has been the true purpose of life of civilised peoples, their anti-capitalist tendencies became clearer and more certain. These were the ideas fought over and discussed in workers' households throughout the entire civilised world; they provided the fertile ground for the tremendous workers' revolts we have seen year after year in Europe and in the United States, in the form of strikes by dockers, rail workers, miners and mill workers, etc., until finally taking the form of the General Strike – soon growing into major struggles comparable with the powerful cycles of the force of nature, and next to which small battles in parliaments appear as a children's game. While the Germans celebrated their ever growing electoral success with red flags and torchlit possessions, the experienced Western people's quietly set to work on a much more serious task: that of the internal organisation of the workers. The ideas with which these last peoples occupied themselves were of a much more important nature. They asked themselves, “What will be the result of the inevitable worldwide conflict between Labour and Capital?”, “What new forms of industrial life and social organisation will this conflict create?”. And that is the true origin of the Syndicalist movement, which today's ignorant politicians have just discovered as something new to them. To us anarchists this movement is nothing new. We welcomed the recognition of syndicalist trends in the programme of the International Workers Association. We defended it, when it was attacked within the International by the German political revolutionaries who saw in this movement an obstacle to the capture of political power. We advised the workers of all nations to follow the example of the Spanish who had kept their trade union organisations in close contact with the sections of the International. Since this time we have followed all phases of the worker's movement with interest and know that whatever the coming clashes between Labour and Capital will be like, it will fall to the syndicalist movement to open the eyes of society towards the tasks owing to the producers of all wealth. It is the only movement which will show to thinking people a way out of the cul-de-sac into which the present development of capitalism has given our generation. It goes without saying that anarchists have never imagined that it was they who had provided the syndicalist movement with its understanding of its tasks with regard to the reorganisation of society. Never have they absurdly claimed to be the leaders of a great intellectual movement leading humanity in the direction of its progressive evolution. But what we can claim is to have recognised right from the beginning the immense importance of those ideas which today constitute the main aims of Syndicalism, ideas which in Britain have been developed by Godwin, Hodgkin, Grey and their successors, and in France by Proudhon: The idea that workers' organisations for production, distribution, and exchange, must take the place of existing capitalist exploitation and the state. And that it is the duty and the task of the workers' organisations to work out the new form of society. Neither of these two fundamental ideas are our invention; nor anyone else's. Life itself has dictated them to nineteenth century civilisation. It is now our duty to put them into reality. But we are proud that we understood and defended them in those dark years when social democratic politicians and pseudo-philosophies trampled them underfoot, and we are proud that we stand true to them, today as then. Published in Black Flag 210, pp. 24-27, 1997. Digitized by Ratibor Trivunac and Camilo Álvares.